Skip hire has never been so quick and easy. 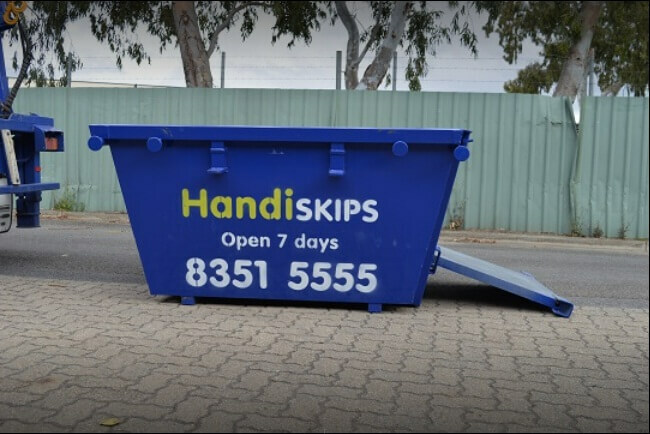 Handiskips SA is your local family owned Skip hire company focused entirely on the domestic skip hire market. We pride ourselves on offering excellent customer service and are always listening to our clients to ensure we know what they need. Open 7 days a week we’re always there when you need us, and for the ultimate in convenience we can often provide same day delivery. As a smaller family owned business, we have low overheads and we like to pass these savings onto you in the form of amazing prices. Every Handiskips SA skip is fitted with a unique easy access door. The easy access door drops down to form a ramp allowing you to walk or wheel items directly into the skip. You’ll save lots of time and energy loading a Handiskips SA skip, no more straining your back to heave things over the side of the skip, and because you can easily get inside our skips you can load and pack them to capacity without wasting any space. Small or large project we have the ideal skip for you – even if you are just clearing out a few things or doing a small garden project our skip sizes start at 2m3 so you can quickly and easily dispose of your waste. We offer the full range of skip sizes from 2m3, 3m3, 4m3 and 6m3 so you can always find the ideal sized skip for your needs. Mixed waste – a mix of general and quarry waste. 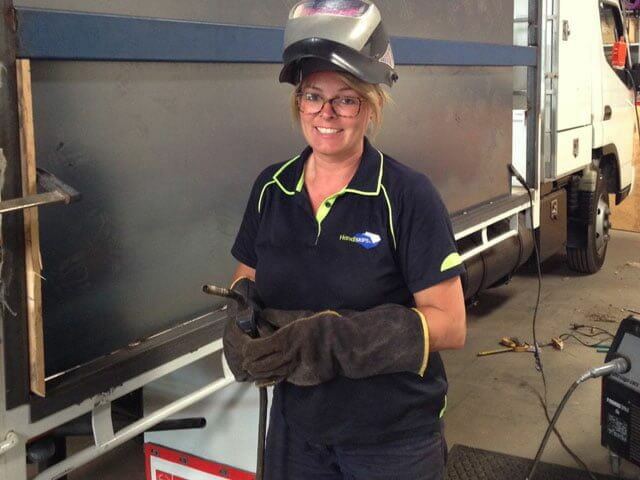 If you have never hired a skip before simply call Lisa on 8351 5555 and she will answer any questions you have and can advise you on the right skip type and size for your needs. We operate a clean modern fleet of skips there’s no rusty or flaky skips in our fleet and because we love the environment, we proudly recycle 95% of the contents of our skips.